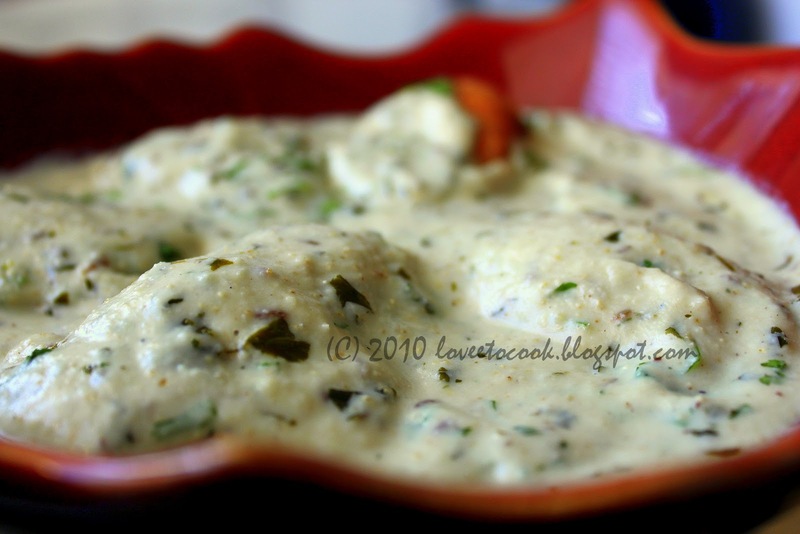 You can look at Malai koftas as the distant vegetarian relatives of the Italian meatballs, eaten along with rice or naan. The croquettes or koftas can be served in red or white gravy, personally preferring the white i detail the recipe for the same. 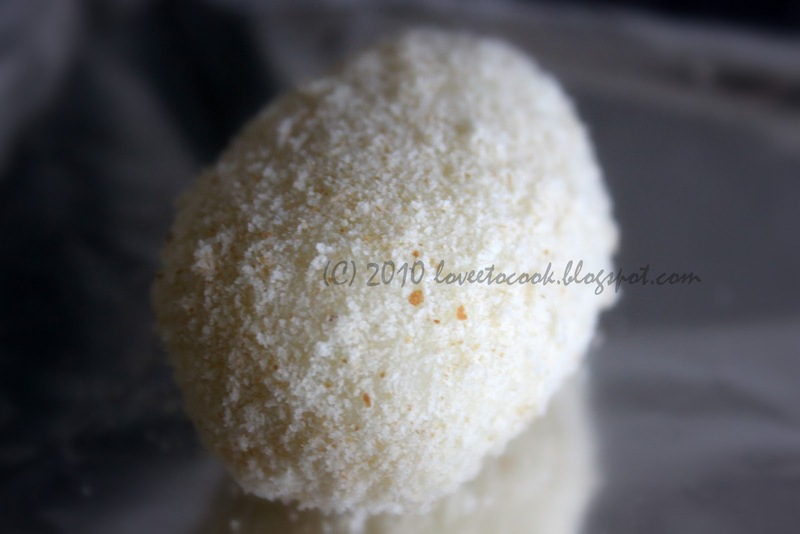 To start, take a small scoop of the seasoned mashed potato mix and press in the middle to place some croquette filling. Fold and shape into ovals or rounds as u like. Roll in fresh breadcrumbs and dust off any extra. 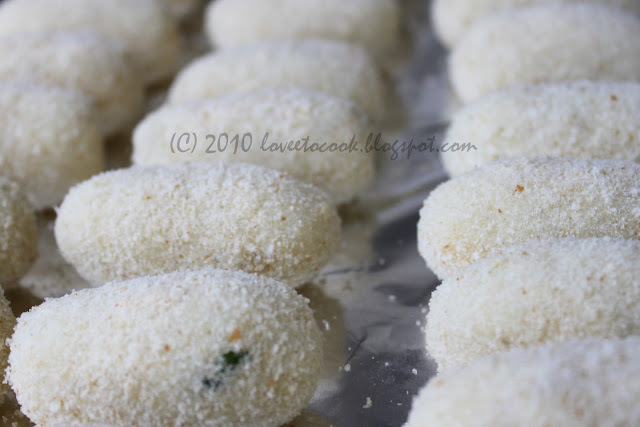 Once all the croquettes are rolled on a sheet or plate , place them in your refrigerator for half an hour before u start deep frying the same. The latter assures the croquettes do not disperse to a mess in the hot oil. After half an hour, deep fry the koftas / croquettes till golden brown. Let them cool on a paper towel to drain off any excess oil. 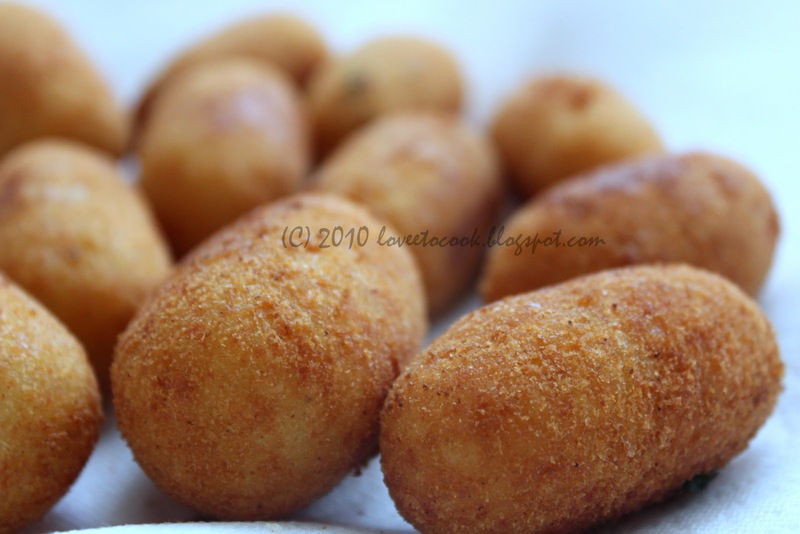 You can also serve these croquettes as it is with some green chutney as well.. makes an amazing appetizer too! Take the onions, garlic, ginger, green chilly cashews, and poppy seeds and pulse in your processor till pureed and blended. Take a pan and heat ghee on medium heat. Add cumin, cloves, cinnamon, bay leaf and stir till the cumin crackles. Add the onion mix from your blender. Stir and cook for 5- 10 minutes. Now add garam masala, salt and fenugreek leaves. Add cream , mix and bring to a boil. 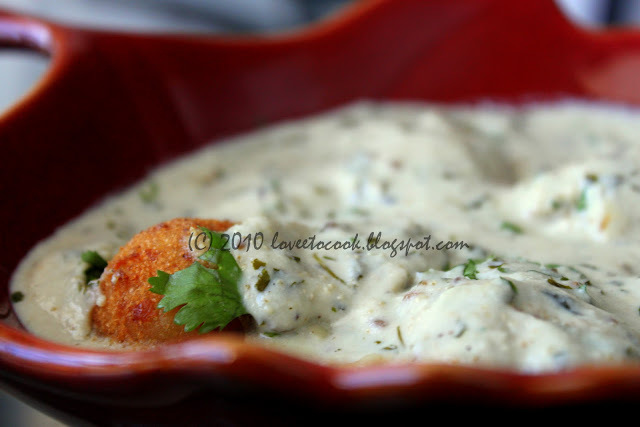 Place the croquettes in your serving platter and pour the warm gravy over. 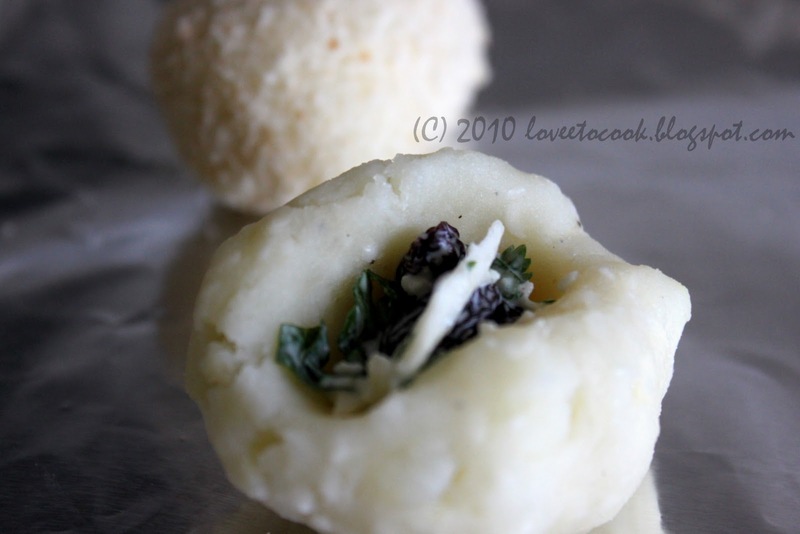 Serve with a garnish of cilantro/ coriander leaves. Wow that looks1 truly delicious ..i am tempted..yummy!!! This looks fantastic! beautiful photos! Those look delicious. And your photographs are lovely, great depth of field.